Best auto upholstery interior cleaning products come in handy when cleaning the interior of any car including the seats and mats. Cleaning the interior will the right formula or steam cleaning will help in keeping your car properly maintained and absolutely stunning. These cleaning products are usually very effective when it comes to cleaning spills or dirt and also in removing stains. In addition to cleaning, you should also make use of protectants that help to block stains and also protect the upholstery from future wear and tear. Car upholstery includes a variety of materials such as leather, fabric or cloth and vinyl. Leather is usually prone to fading and aging. Special care should be taken when cleaning any leathered surfaces. Start with proper vacuuming to get the dirt out. Use a microfiber applicator pad to apply the cleaning product and rub it using a soft clean microfiber cloth and then wipe clean. Vinyl is usually dusty than dirty, and is very simple to clean. Apply the product and then wipe it down with a damp, clean cloth. If it is very dirty, then you can make use of a soft scrub brush or a sponge for light scrubbing to loosen the dirt without destroying the material and then rinse. Fabric material requires more effort because it absorbs spills and is also susceptible to stains and dirt. Care should be taken not to soak the fabric. After you vacuum then apply the cleansing solution. Use a soft bristled brush to scrub stains lightly, and then with a clean cloth rinse any residue and then dry using a microfiber cloth. 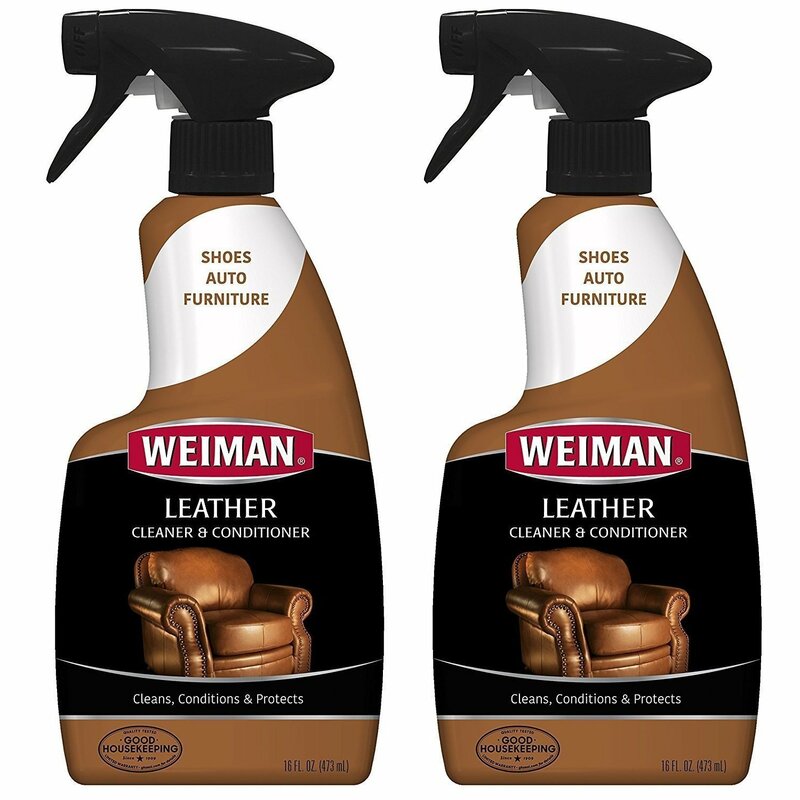 Proper cleaning and conditioning of the leather interior will definitely keep the surface clean, smooth, soft and well protected.If you have leather upholstery, the following are some safe, non toxic products that will help to clean and condition your interior properly. You will find these available either as a cleaning product only, or as a cleaner and conditioner in one, or as a two separate items together, available as a care kit. These products are packed with ingredients that are effective in removing stains, marks, grime and dirt from any leathered interior. The conditioner usually protects surfaces from drying and cracking and also restores the original color. 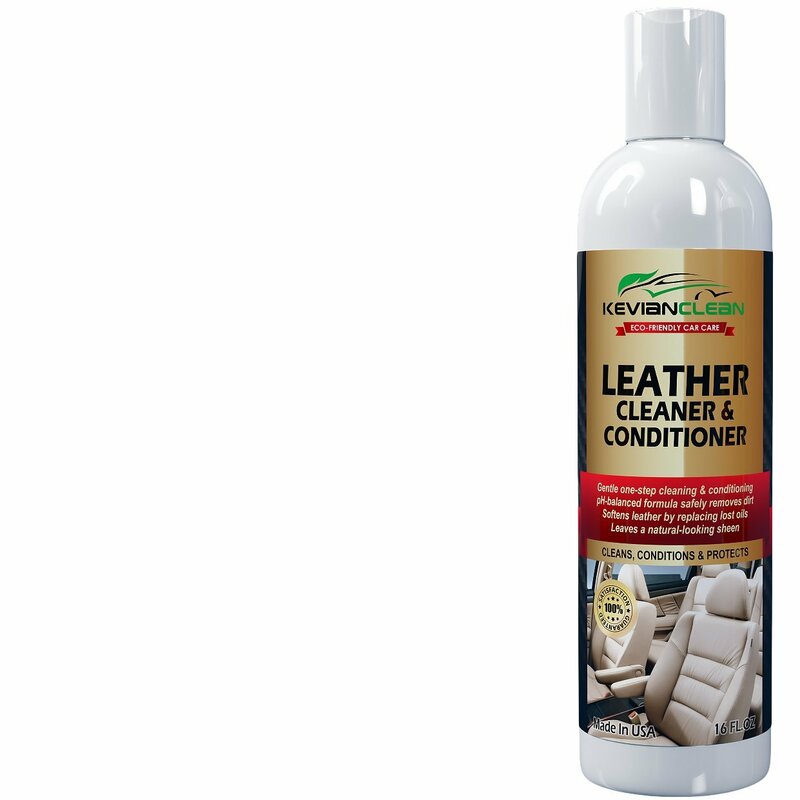 Conditioning helps to replaces lost oils and also softens the leather. This care kit comes with a cleaner and a conditioner. The colorless cleaning solution is usually PH balanced and safely lifts dirt and grease. It doesn’t leave any residue or chemical smell. It is also very easy to use. The conditioning lotion contains vitamin E and helps to restore and protect surfaces. It deeply penetrates in order to nourish and condition. 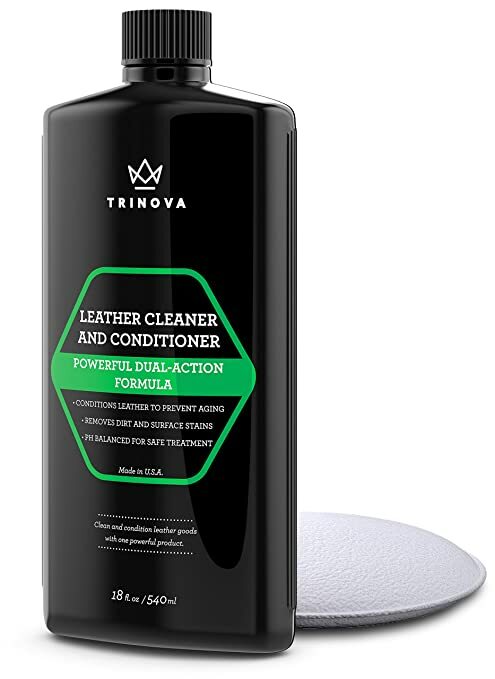 The conditioner also contains stain guard that helps to reduce the ability of grease and oils attaching on the leather surface. Watch the video below on how to use these kit. 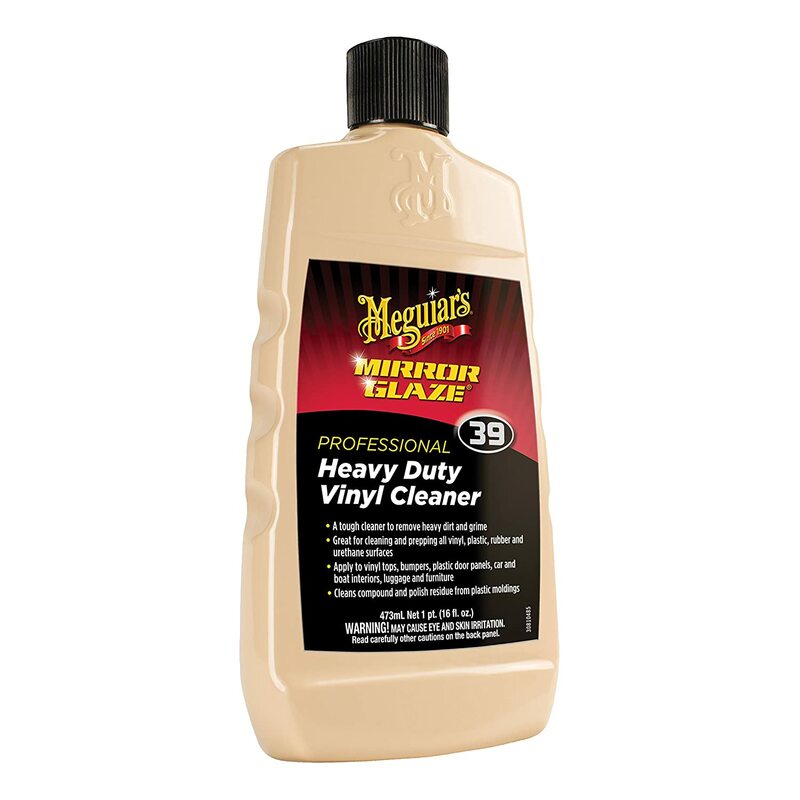 These products are specially formulated for use on vinyl interior surfaces. They remove heavy dirt, elbow grease and tough stains. They come in trigger spray bottles or in aerosol cans. They effectively clean stained and dirty vinyl, leaving some shine behind. They are very gentle and are able to clean without staining or stripping the vinyl. They come in different brands and also vary in their chemical composition. 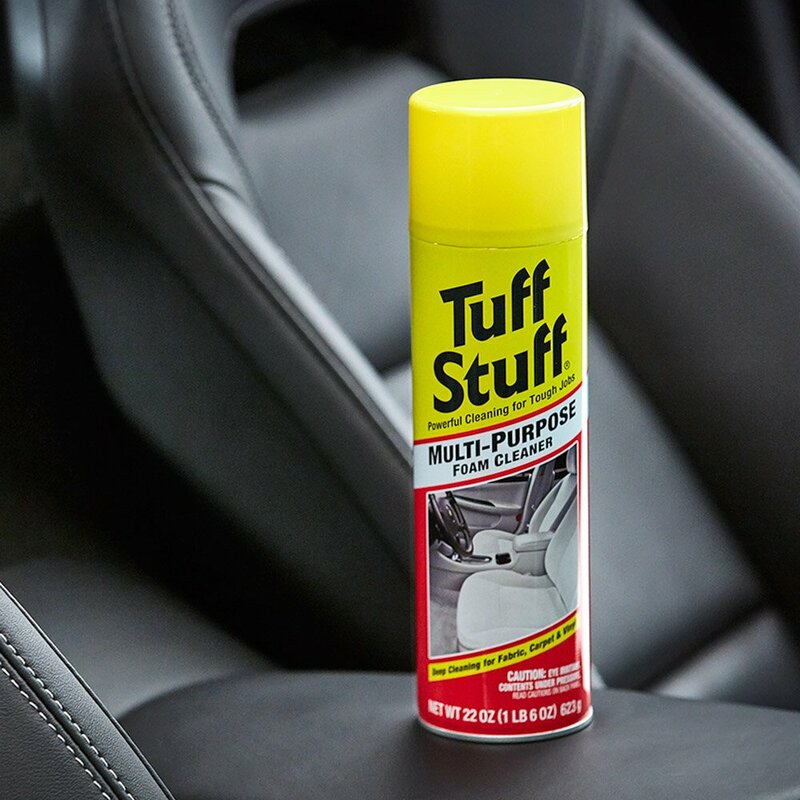 Regular use of these products will offer a long lasting benefit to your car interior. They will leave the upholstery clean, revealing the original appearance of your interior. 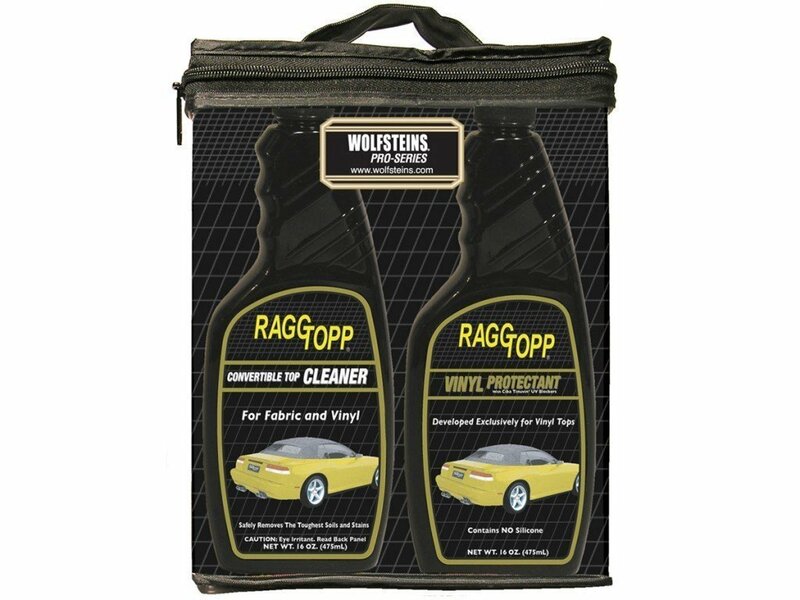 These cleansers are formulated to lift out grime, dirt and oils from fabric material. They are tough on stubborn stains but gentle on fabrics. Each of these products is ideal for a certain type of material. You will be able to find a product for each and every type including the very delicate microsuede material. It is important, therefore to know the type of the fabric used in the interior of your car in order to identify the right product. This upholstery shampoo is effective in removing stains and eliminating odor. It has an enzymatic odor eliminator and a biodegradable superior degreaser. It creates nice thick foam that helps to pull all the dirt and grime away. It doesn’t leave any chemical smell or residue. It does not contain toxic chemicals, bleach, ammonia, solvents or color damaging agents. It leaves behind a clean fresh scent. It is effective in removing dirt, oil, coffee, grease, tea, wine, pet and juice stains. It comes in a highly concentrated form and it should be diluted before use. It is economical and a little amount goes a long way. It is important to use products that are designed for a particular material. Choose products that are strong enough to clean thoroughly and not harsh on the material fibres. Always remember to test your new cleaner on an inconspicuous part of the fabric in order to detect if it can cause any discoloring or damage before using it on the whole seat.